For many years, we are committed to deliver Computer Peripheral Installation Services to our valued patrons. These services are rendered by our deft team of professionals who installs all the devices and hardware on time. The offered services are highly acclaimed for their timely completion and reliability. Along with this, we offer exact need with specific combination of installation services at marginal prices. We Silicon Micro Systems (India) Pvt. Ltd. from 1994are a leading trader, service provider and supplier of an exclusive collection of Computer Peripheral Installation Services, Networking Services, Turnkey IT Project Solutions, Annual Maintenance Contract Services, Repairing Services, Software Installation Services, Computer Peripherals, Assembled Computer, Branded Computer, Branded Laptop, Computer AMC Service, Laptop Accessory. These products are made with strict follow the set industry defined norms and standards at vendor end. Our offered products are widely recognized by our clients for their high speed working and longer life and used in various IT fields. We are offering our products within the requested period of time. 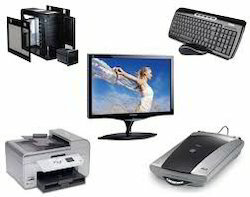 Additionally, we are also offering Installation and Repairing Services to our clients.